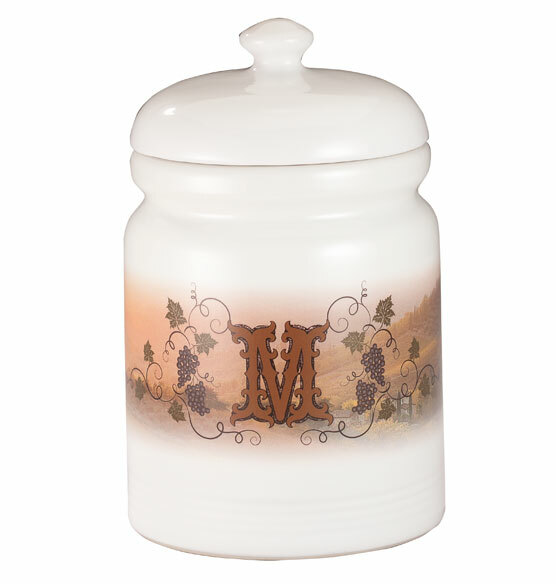 Dreamlike images of the Tuscan landscape adorn this personalized Tuscan Sunset cookie jar. The image wraps around the whole cookie jar, showing off the design from any side. Perfect for storing a stash of favorite baked treats, with a silicone seal to keep the contents fresh. 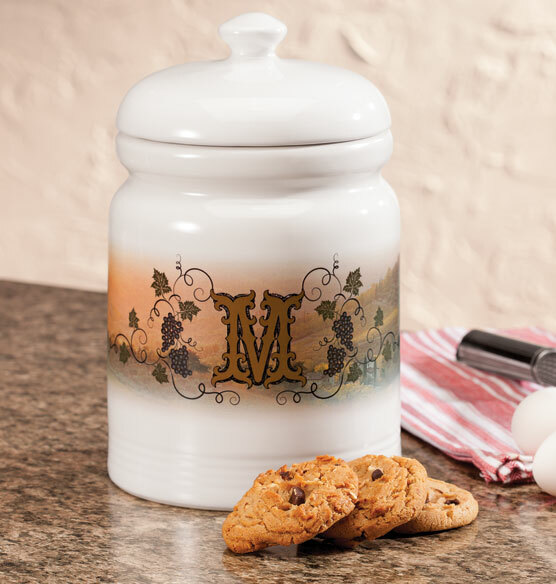 Personalize this unique cookie jar with a single initial to create a one-of-a-kind accent for the kitchen counter. Cute design...nice that it’s personalized. Just hope it arrives safely and in tact....first purchase from this site.